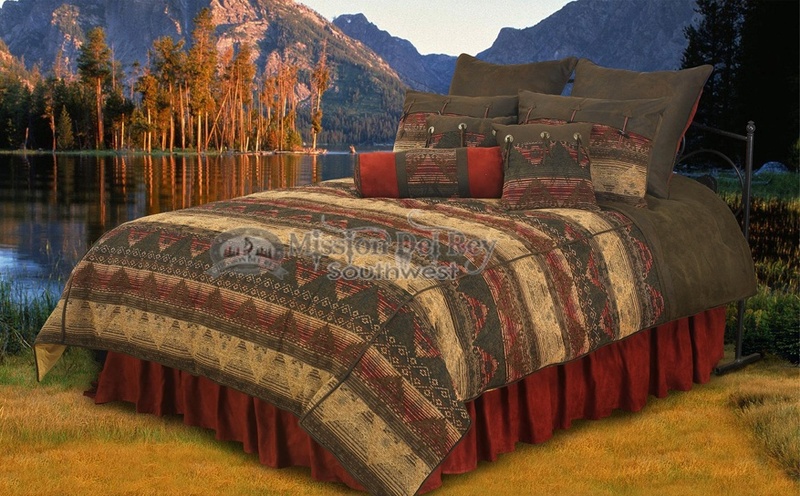 This is a beautiful southwestern comforter bed spread set. With 7 pieces this beautiful southwestern bedding set is plush and cozy, perfect for southwest or western design as well as cabin, lodge or cottage style. This southwest comforter bed spread is soft, plush and durable, and expresses a classic southwest design. It is perfect for that special rustic ranch look. Super Queen 96" head to foot, 92" wide. Queen size is being shown for display purposes.